The company claims to have invented the blue jean in 1873, filing a patent for "waist overalls"
In this March 8, 2018, photo illustration, Levi's 501 blue jeans by U.S. clothing manufacturer Levi Strauss are seen in Berlin. This week denim lovers will get the opportunity to invest in more than just a pair of Levi 501s. For the first time in more than three decades, investors can buy shares of the world’s biggest jeans seller. The initial public offering will mark an end to 34 years as a privately held company, as it will be the second time in its history the denim giant will be publicly traded. The 166-year-old company had its first initial public offering in 1971 and traded until 1985, when the founder’s descendants took the company private in a leveraged buyout. A key reason Levi Strauss is going public is that an IPO allows the founder’s descendants to cash out some of their holdings, yet retain control because of the dual-class shareholder structure. It also will give the company a financial boost to invest in its business and potentially sweeten compensation for its employees. According to the prospectus, members of the Haas family will sell more than 21 million shares in the IPO. At $15 a share, the midpoint of the expected range, the value of the family’s collective proceeds would be nearly $317 million. Further, due to the dual-class share structure, the family will still hold nearly 81 percent of the total shareholder voting power after the offering as each share of the Class B common stock the family will hold will be entitled to 10 votes, compared with one vote for the Class A shares. The Haas family “has transitioned to professional managers, so the [family] really isn’t involved in managing Levi Strauss, and we have a company with a history of managing profitability and sales,” Smith said. The company claims to have invented the blue jean in 1873, filing a patent for “waist overalls.” In the 146 years since, it’s grown into the top-selling jeans brand by retail value in the U.S. and the world, at 13.5 and 5.3 percent, respectively, according to Euromonitor International, a market research provider. Euromonitor data show the other top four jeans players in both the U.S. and the world are all publicly traded, or owned by publicly traded companies. In the U.S., Wrangler (VF Corp.) is the second-biggest jeans brand by sales, followed by Old Navy (Gap), American Eagle Outfitters and Target. Worldwide, Zara (Inditex) is second to Levi, H&M is the third-largest jeans seller, VF’s Wrangler and Lee are fourth and fifth, respectively. Additionally, Lewis said that “Levi Strauss & Co. wants more capital to give it the opportunity to grow sales and improve their pace of investments.” Investments like its Eureka Innovation Lab, where fabric innovations like its four-way stretch was created, or even potentially acquisitions. In its SEC-filed prospectus, the denim maker states its main purpose for going public is “to increase our financial flexibility and create a public market for our class A common stock” though it also notes the intention to use the proceeds for working capital, operating expenses and capital expenditures, and potentially for acquisitions or other strategic investments. While overall domestic jeans sales are expected to improve in the coming years, Euromonitor predicts the compound annual growth rate will be just 1 percent from 2018 to 2023. That’s an improvement from down 2.3 percent between 2013 and 2018. Globally, the market research firm expects global jeans sales to rise 2.1 percent from 2018 to 2023, a bit slower than the 3.3 percent pace between 2013 and 2018. 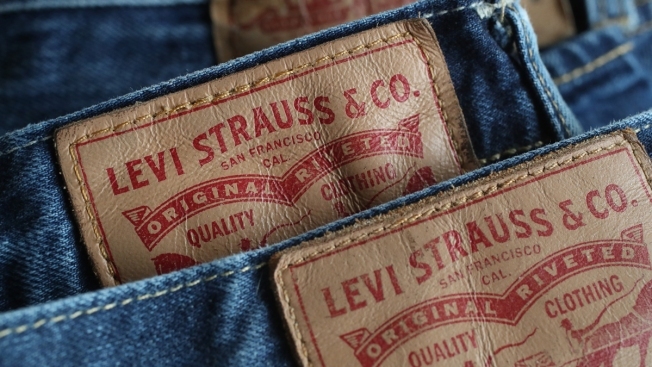 Levi Strauss sees an opportunity to boost its market share with women, online and in China. At present, Levi’s men’s business accounted for $4 billion of Levi’s $5.6 billion 2018 revenue, or more than 70 percent. Only 3 percent of its revenue came from China.